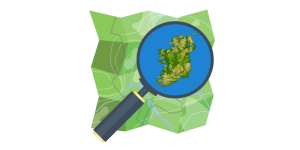 After OpenStreetMap Ireland’s successful launch as a company, it is time to get back into the swing of things and start mapping again. OSM is the Wikipedia of mapping where the users contribute to the map, either locally through direct observation, by satellite imagery or from in car-mounted cameras, on bicycles, etc, with Mapillary. Bring a laptop and your mobile phone and learn about the various tools ranging from simple to expert, to edit the map. So no matter what your technology experience there is a way to contribute. One of the phrases from the launch was warm mapping, where people can add a soul to the place, instead of the cold formula used by the proprietary services. So let’s stay warm together in this cold winter season and map our communities! There will be a 20min workshop in Mapillary, followed by a 40min walk around to put those skills to use (Warm jacket recommended). Could be useful for any new arrivals to Dublin! Register your interest on Meetup. This was written by t4dc4n. Posted on Tuesday, October 30, 2018, at 2:43 pm. Filed under Workshops/Events. Bookmark the permalink. Follow comments here with the RSS feed. Post a comment or leave a trackback. ‹ Kino-Kabaret – filmmaking hackathon in TOG!